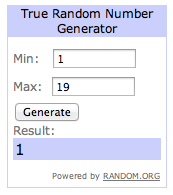 UPDATE: Congratulations to lucky number 1: Ashley, who won the 4 1-hour passes. Please check your email! 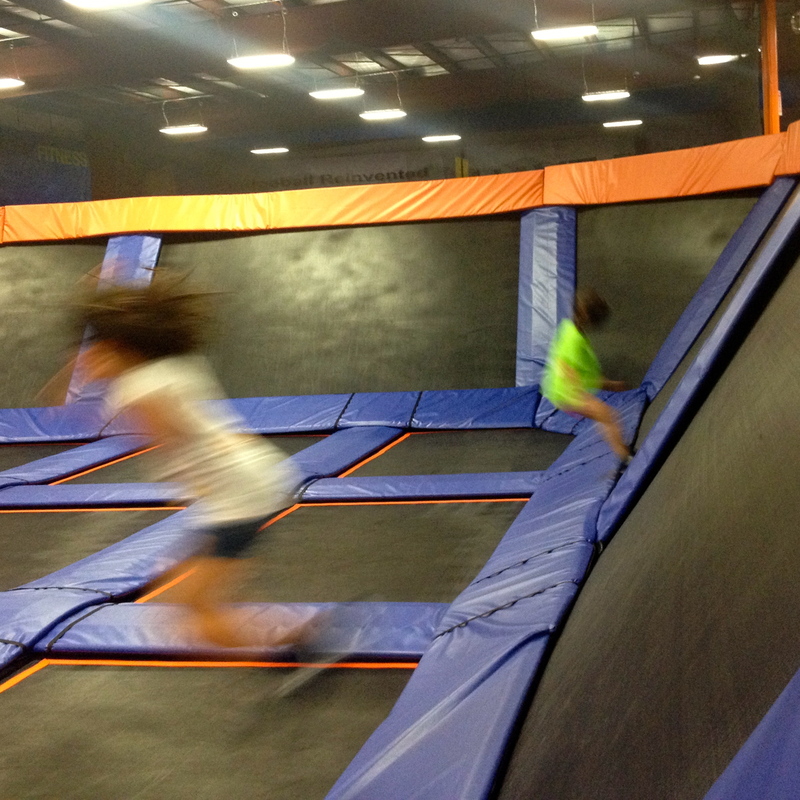 Disclosure: I was invited to bring my family to Sky Zone Westlake to try it out for free but I was not compensated for this post. As always, my thoughts are 100% my own. I only share events that my family plans to attend or has attended in the past, so I know they are worth the visit. 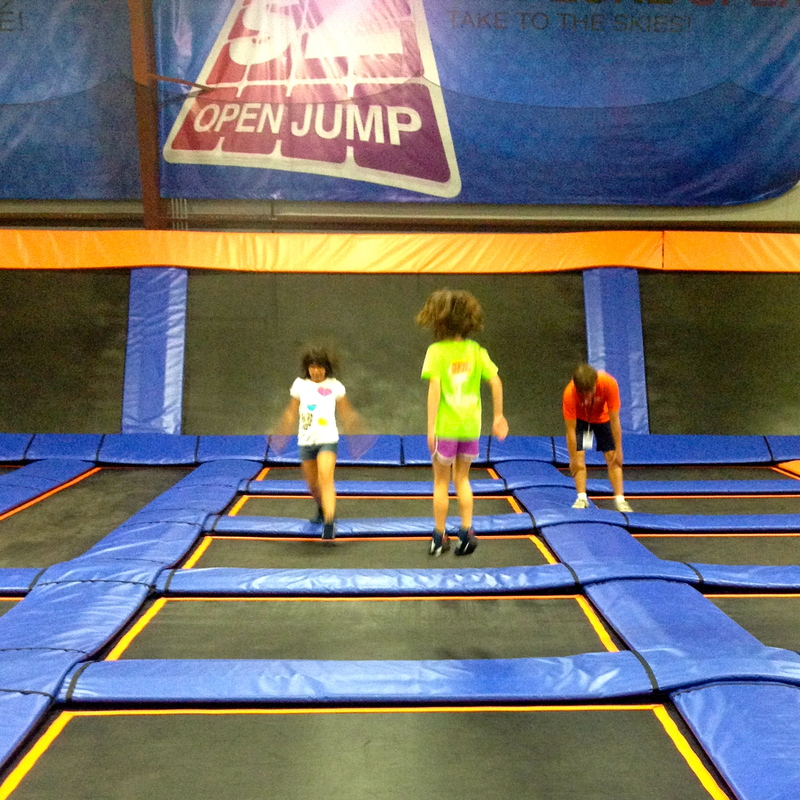 Awhile back, one of my favorite bloggers mentioned taking her boys to an indoor trampoline park and I thought “OMG that sounds so cool! Cleveland needs one of those”. Fast forward to this summer and now we do! And let me tell you, it’s a blast! 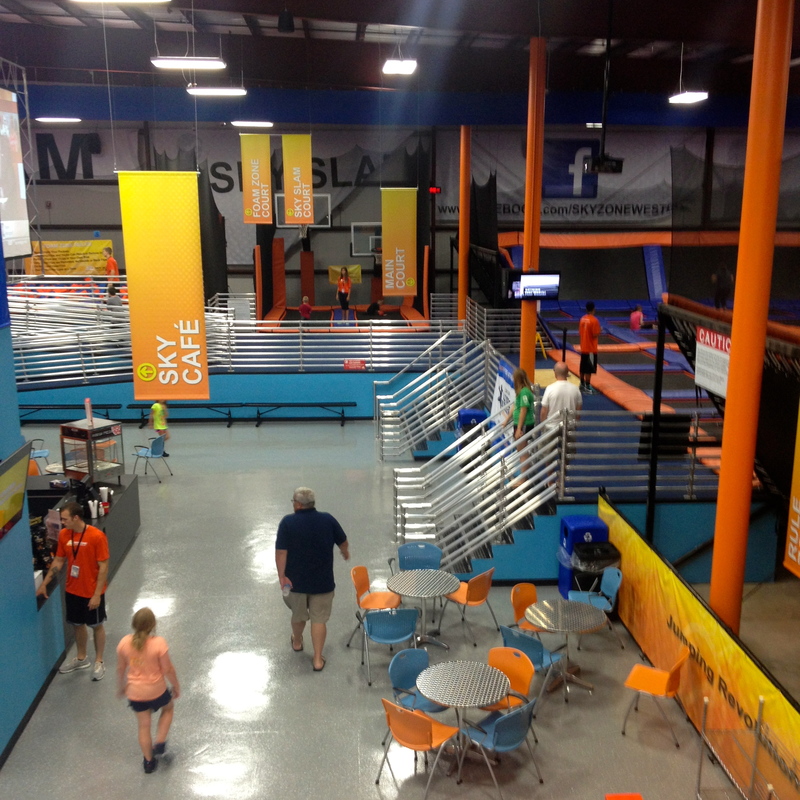 Sky Zone Westlake opened in July and it has not taken long for the word to get out. In fact, the first time we made the trip, on a rainy Saturday afternoon, the parking lot was overflowing with parked cars lining the street surrounding the brand new facility. We didn’t even try to go in that day. We came back another weekend, bright and early on a Saturday morning. We arrived when they opened at 9:00 AM and basically had the place to ourselves. 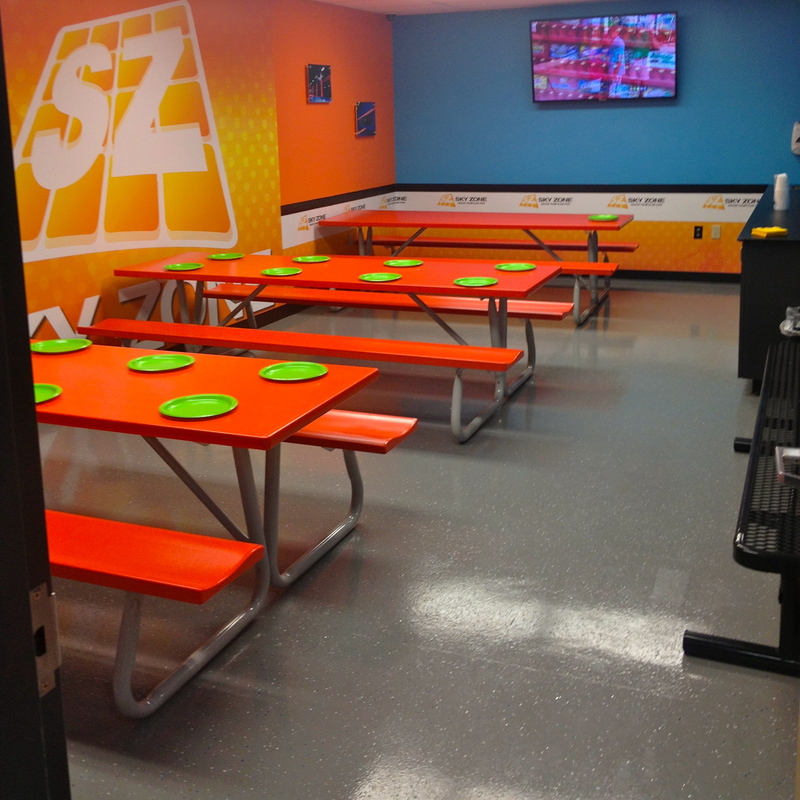 Sky Zone Jump Shoes – they are required to jump and included in the price. I opted not to jump due to an old knee injury (torn ACL) that makes me scared to jump. But Mark and the kids took no time to check it all out. 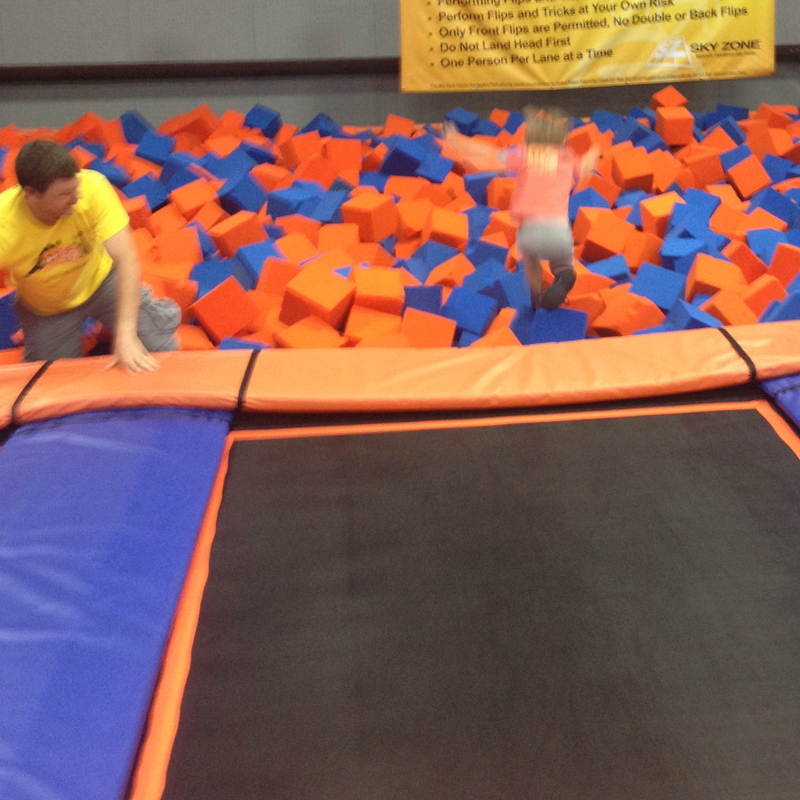 From the open jump area (a floor of trampolines, with trampoline walls) to the foam pit, they ran back and forth like crazy hopping frogs. 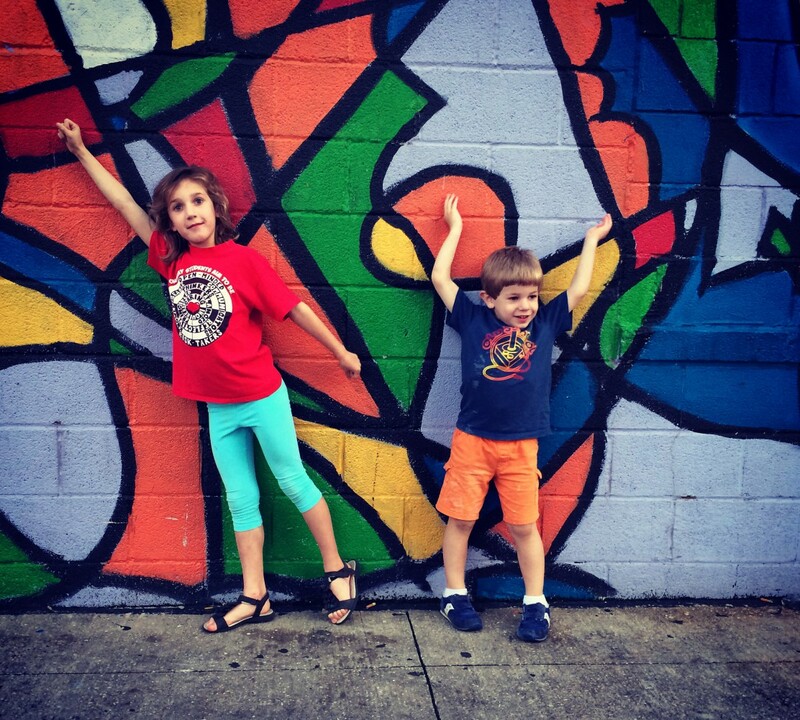 Sorry for the blur – the kids never stood still! I was worried that at age 3.5, Madman would have a hard time. I didn’t need to worry. He buzzed around enjoying all the features. 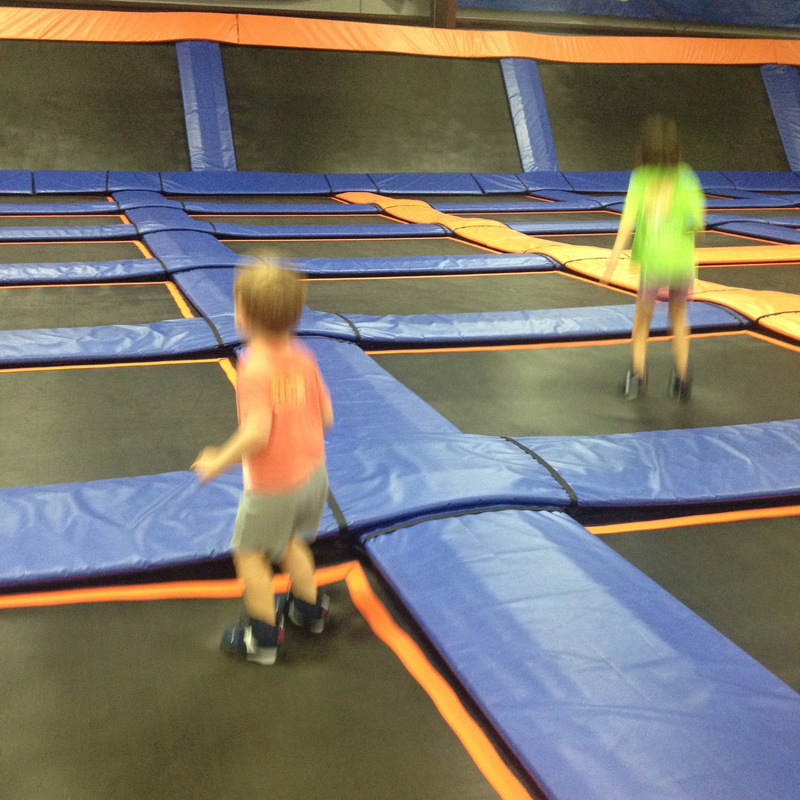 Our only problem with him was keeping him from sitting down on the trampolines (against the rules) and running along the padded edges (blue strips between the trampolines – also against the rules). 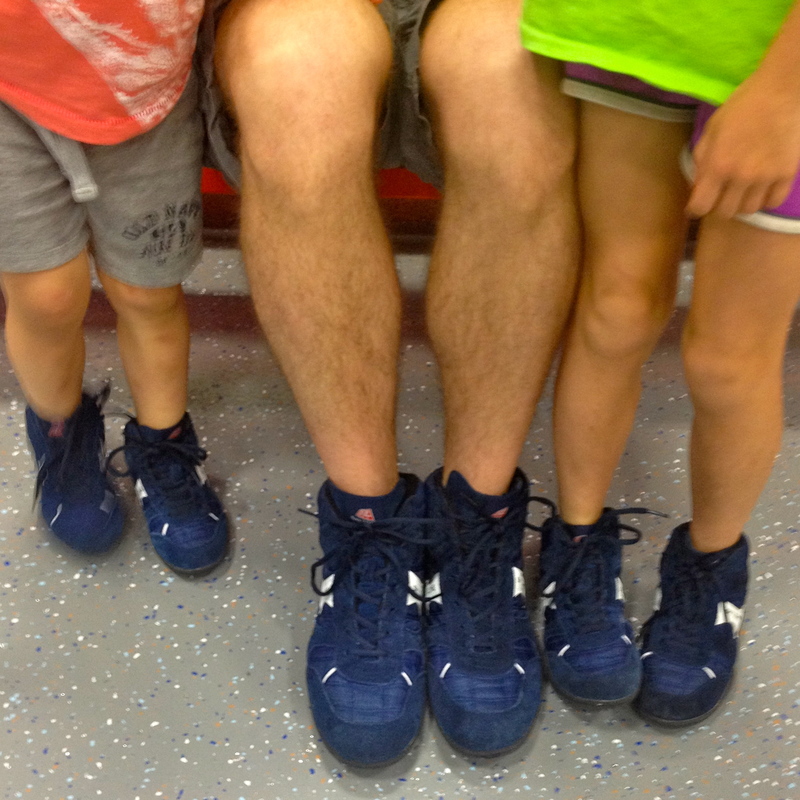 I think for a regular day, age 3-3.5 may be as young as you want to go. But they just started a toddler time which sounds be perfect for the littles as parents are allowed on the pads to supervise. 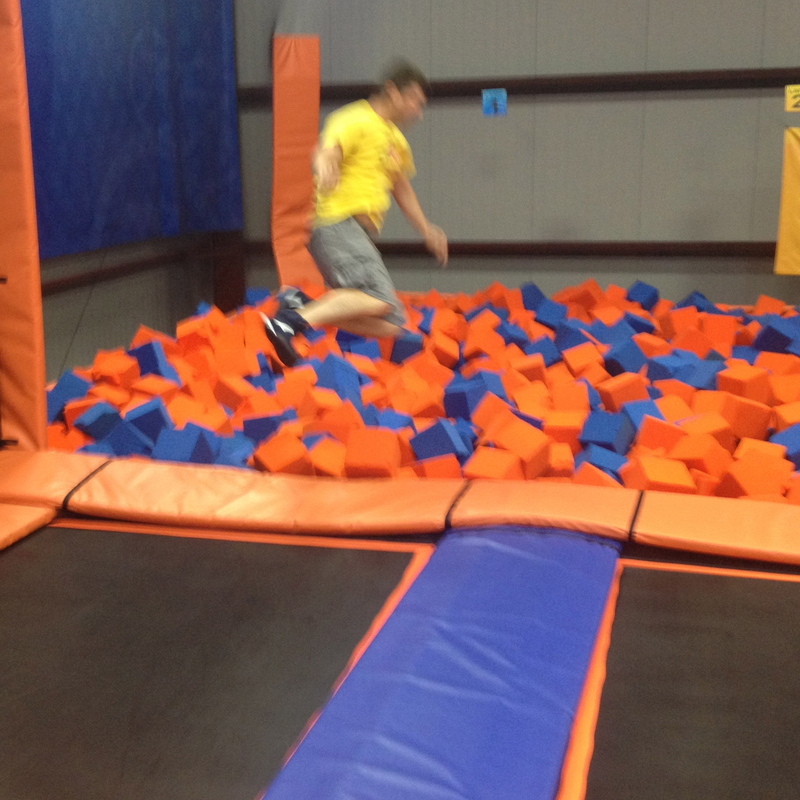 Madman found his true love in the foam pit. That dude spent most of the hour flinging himself into the pit then climbing back out. The pit is so fun, even Mark did a few dives. always a Sky Zone employee there to give him a hand. 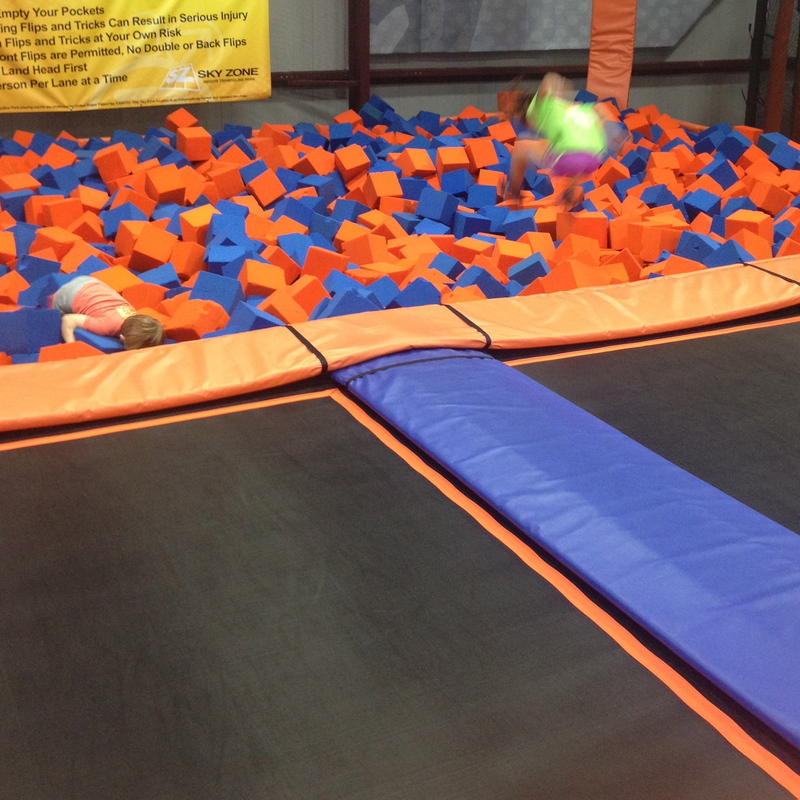 One last thing – while a 30 minute ($10) or even 60 minute ($14) session doesn’t sound that long, my kids could only jump for about 10 minutes at a time before having to take a break. They were wiped out after an hour. Even Mr. Marathon Runner Mark was tired and sore the next day. This place is going to be awesome this winter – a perfect place to get the energy out! 4) bring quarters to stash your stuff in the lockers. One comment/entry per person, winner will be selected on Friday, September 6.